How do I retrieve deleted text messages for iPhone 6? 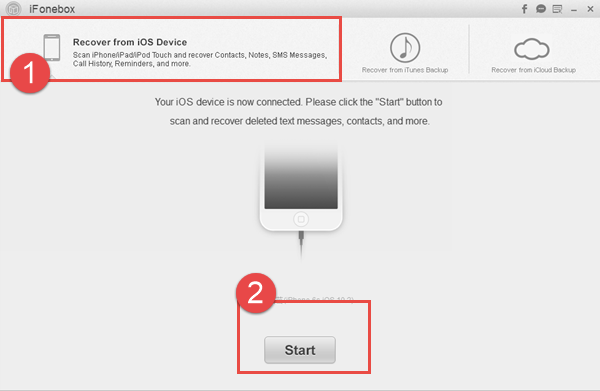 How do you retrieve deleted text messages for iPhone 6? No panic. Tips are here to recover deleted text messages on iPhone 6 easily. I deleted a conversation on my iPhone 6s that I really need. It was text not iMessage and i do not back up to iCloud. I have no idea what to do people please help. It is quite easy to delete some messages needed from iPhone 6 accidentally, just as the above user. 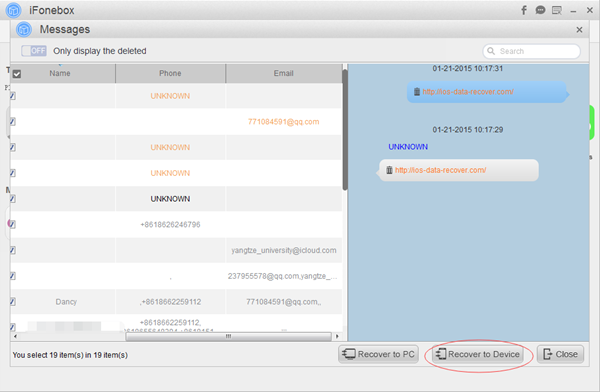 It seems that this user doesn't get an iCloud backup or iTunes backup for those deleted text messages, so is there any possibility to retrieve deleted text messages on iPhone? As to me, yes. I've got a method to help him recover deleted text messages on iPhone easily. Here we go. Can't miss: How do you recover deleted text messages on iPhone 6? There is still one point you need to remember that whenever important messages are deleted by accident, you have to turn on Airplane Mode or power off your iPhone, then do a backup for iPhone with iTunes or iCloud. That is because when messages are deleted from your iPhone 6, they will be kept in your iPhone until new data are added. They need to make room for new data on iPhone, so if you don't turn on Airplane Mode and back up iPhone instantly, those deleted messages will be overwritten from time being. 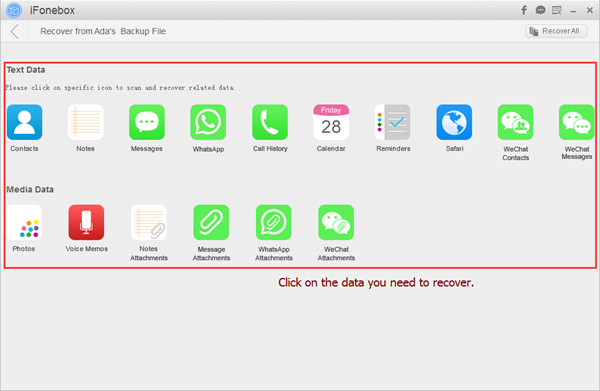 Next, I will share the best iPhone message recovery software to retrieve iPhone 6 deleted text messages. It is necessary to download and install iFonebox on your computer: Windows version and Mac version. How to retrieve deleted text messages on iPhone 6? Launch iFonebox. Choose Recover from iOS Device mode. Please plug in your iPhone to the Mac with USB cable so as to scan and retrieve messages back to it. Once connected successfully, your iPhone will be detected by iFonebox. Click Start button to begin. Scan messages from iPhone. Click on Messages item to start scanning and analysis process. It may take some time if you have a large data for messages. That's it. It is quite convenient to retrieve deleted text messages on iPhone 6 under the help from iFonebox, isn't it?